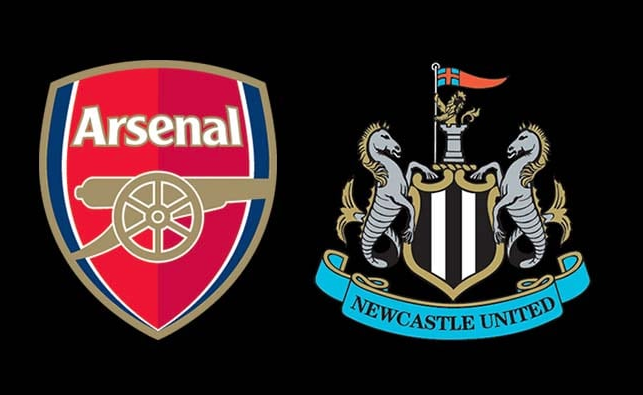 Arsenal (A): Pre-match thoughts, team news & predicted line ups – NUFC blog – Newcastle United blog – NUFC Fixtures, News and Forum. SIXTEEN days after Matt Ritchie’s last gasp strike at Bournemouth, Newcastle are finally back in action tonight with a trip to the Emirates. Rafa has no doubt relished the fact the international break has given him two weeks to come up with a cunning plans as to how he can come away with a shock result at Arsenal, however the following stat highlights just how tough tonight’s task could be. In their last 42 home league games, the only teams to beat them are the Manchester clubs – with Wolves being the only side outside the top 6 to get a result at the Emirates in this period. I still believe they have clear weaknesses to exploit, particularly at the back, but this stat is perhaps proof that Arsenal have been anything but pushovers on home turf of late. The weekend was eventful to say the least and, at one point, it looked like a nightmare set of result for us. Burnley, Southampton and Palace won, meaning a win for Cardiff over Chelsea would’ve left us just FOUR points above the drop zone. Cardiff were leading late on, but some shocking refereeing contributed to their downfall – with Chelsea’s late comeback leaving Warnock’s side 7 points behind us in third bottom (practically 8 points when factoring in goal difference). One more win and we’re safe if you ask me – and wouldn’t it be nice to secure that tonight. There’s only two areas of the pitch I can’t decide on here as far as predicting Rafa’s starting 11 is concerned – centre back and central midfield. At centre-back I can see Dummett starting at the left-side of centre again, with him being brilliant at Bournemouth. Lejeune also seems nailed on, with him being able to play on the right-hand side of a three, however it’s tough to say who’ll start in the centre. Lascelles or Fernandez? Schar is suspended, but the skipper is fit again, while Fernandez has been ‘training well’ according to Rafa – who tipped to Argentine to get ‘more chances’ in the side after waiting patiently for his chance. Purely based on the fact he made the odd error at Bournemouth, I think Lascelles will come back in for this one if he’s fully fit. 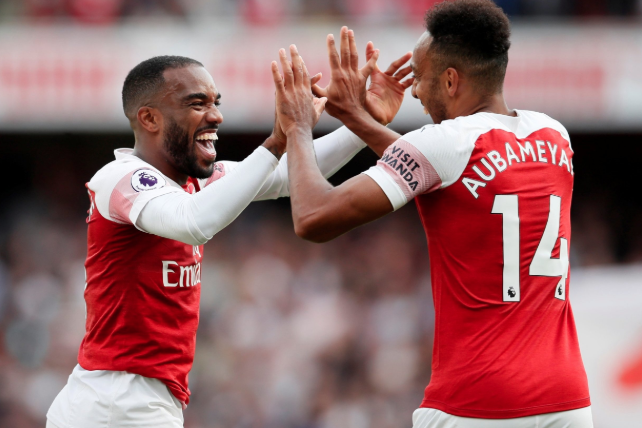 After all, there can be no room for error against the likes of Aubameyang and Lacazette. In midfield, Ki was poor in the win over Everton and Diame had a mixed performance at Bournemouth. Shelvey has made a positive impact from the bench in the last two games, but if Rafa won’t start him at Bournemouth, will he play him against Arsenal? I’m not so sure, so I can see Diame partnering Hayden here. Elsewhere, I expect Dubravka in net as ever, Yedlin and Ritchie at wing-back and Perez and Almiron either side of Rondon. Preferred NUFC XI – (3-4–2-1) – Dubravka– Lejeune, Lascelles, Dummett – Yedlin, Hayden, Shelvey, Ritchie – Perez, Almiron – Rondon. Aaron Ramsey – Set to leave the Gunners at the end of the season, but a player who always seem to pop up in the right place at the right time and bag a goal; a little like Wijnaldum did during his one season on Tyneside. If Shelvey starts and he’s up against the likes of Ramsey, his biggest task will be his work off the ball. Sokratis Papastathopoulos – The Greek centre-back is a little impulsive at times and can over commit, meaning he could struggle if the ‘three amigos’ Perez, Almiron and Rondon turn up. If we can keep hitting them on the counter attack, he could struggle. Sead Kolašinac – A powerful wing-back who’ll bomb on down Arsenal’s left. Yedlin will have his hands full with him, so he’ll have to be on his game – and may well need support from Perez to stop the service into Aubameyang and Lacazette. Fabian Schar will miss out, completing his two-match suspension, but Jamaal Lascelles has declared himself fit to return, with us appearing to have no other injury issues following the international break. Sean Longstaff is ruled out once again; although it’s said he’s making good progress following a knee injury. Aaron Ramsey and Nacho Monreal have recovered from minor injuries so should start, while Granit Xhaka faces a fitness test. Lucas Torreira is suspended. I’m not majorly fearful of Arsenal and do feel they’ve got a soft-centre that could be got at by a hard working, physical, counter-attacking side like ours, but they’ve been so strong at home. The trio of Rondon, Almiron and Perez suddenly makes be believe that we can cause any team problems, but any errors at the other end need to be cut out, with us being too sloppy at the back in our last few away outings. Any repeat of that and the likes of Aubameyang, Lacazette and Ozil will punish us. Rafa could well muster the perfect game plan that sees us come away with a result, but I see Arsenal edging this one. “It’s the moment for a change” – Ayoze Perez set to wave goodbye to NUFC? Arsenal’s back 4 and keeper are poor under pressure. We will have big periods of the game having to soak up pressure from them, but i hope that when we get the chance to go after them a bit coz I do think there is something in this one. 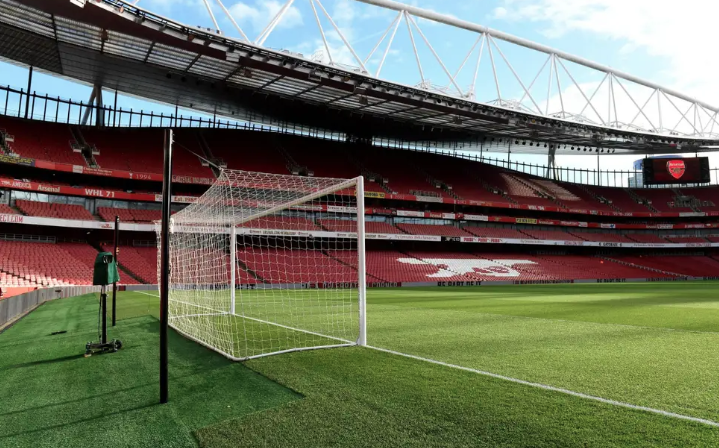 I can understand backs to the wall away to Lpool and City – but I think Arsenal don’t cope with pressure well, and their fans get on their case at home games. It’s a game where I don’t think anyone really expects much, so with nowt to loose, go after them. Papasastholopoulos – easy for you to say. Piers Morgan is an Arsenal fan. Wiping that self satisfied look off his face has to be a big incentive for the lads. I think Piers ranks number 1 of celebrities/pundits who are up their own arses. Joey Barton 2, Rio Ferdinand 3. Brett Lee is my hero. I will post a youtube link why. 1 win in last 15. Interesting site now… Blimey is it an advertising site these days? As for tonight I think it will be a close one. Arsenal don’t often do well in the first half of games against teams lower down so we coul be ahead or drawing at HT. Doubt we will win though in the end. There are supposed to be 9 comments but i see none, just the article and 12 adverts !!! I can never find the comment box. I have to quote someone! Anyway, the match. How can the commentators say Arsenal will feel hard done by because they made a foul that cost them a goal? A clear pull of the arm. Alan Smith won’t stop talking about it! We conceded a pen in the last game for less ffs! Not too disappointed. 1 nil to Arsenal is fair on the balance of play. We are a bit too sloppy with our passing. Need to be better in second half. I do expect us to lose this now though, but cracking goal line clearance from Ritchie… superb! Olly, i’m having to press quote to comment now and then it’s not always working, getting a message about plug ins and some stuff i don’t understand. What the hells up with this blog ? Did Tat Direct have a sale on orange boots? What a pile of shi.te. Trying to think of any player that did well and struggling. We were poor all over the pitch tonight against a so so Arsenal. Very poor. Re. the ads, I’ll speak to Andy and let you guys know. Sorry folks!